On July 1, 1867 Upper and Lower Canada, New Brunswick and Nova Scotia entered into a union known as confederation and became the country now known as Canada. Study the group of individuals who helped bring about confederation, the different backgrounds and personalities that influenced the development of this great nation, and the trials they endured to bring about the joining of these diverse geographical areas. Includes 23 activities and answer key. 80 pages. 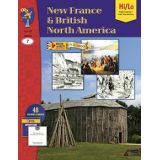 This book supports many of the fundamental concepts and learning outcomes from the curriculums for the province of Ontario, Grade 8, History, Confederation. Students will be amazed with the development of this country as you travel through our history with the 13 reading information cards, and theme test provided. 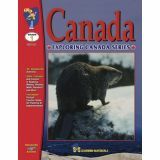 Reading information topics include: an introduction to Canada, First Canadians, Vikings, Settlers from France, Colonizing of New France, the Fight over Fur, Confederation Comes to Canada, the Young Nation Grows, problems in Western Canada, moving into the 20th century. 40 activities. 96 pages. 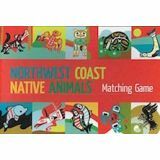 A stunningly beautiful matching game that introduces children to the art and culture of Canadian Northwest Coastal Native communities. Artists from Coast Salish, Haida, Bella Bella, and many other Nations have contributed colouful images of thunderbird, wolf, salmon, eagle, hummingbird, and whale to name a few. The game has 24 matching pairs, and is made with soy-based inks and non-toxic coatings on paper that is souced form sustainable forest. 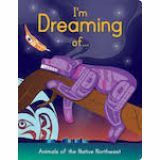 Dream your way through the forest as you encounter animals of the Pacific Northwest, all drawn in beautiful Coastal First Nations styles. By Musqueam, Coast Salish artist, Melaney Gleeson-Lyall. Featuring the work of 9 contributing artists. Soy based ink and water based protective coating. Made from paper sourced from sustainable forests. 24 pages; measures 5.75" x 7.5". 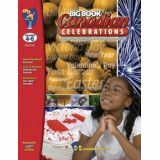 Give your students a reason to celebrate each and every month of the year with this giant book of Canadian holidays. Religious, civil, and seasonal holidays with origins in Aboriginal, African, Chinese, European, Hindu, Japanese, Muslim, and North American traditions are all included. The effect is a well-rounded, and fascinating glimpse at the stories, people and values that Canadians find important. Skills in reading, writing, and critical thinking are featured in hands-on activities augmented by an extensive teacher guide, answer key, and background information for all the holidays. 144 pages. 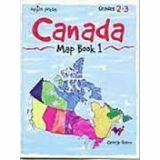 Like arithmetic skills, map-reading skills are best developed in a systematic and practical way, through a step-by-step progression of prescribed activities. 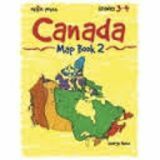 The activities in this series of map books introduce, develop and reinforce those skills needed to understand maps. Here is everything you need to introduce your students to Canada! Includes reproducible story book told by character Brandon Beaver. 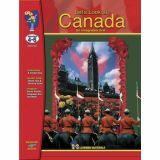 A nine-page reproducible student booklet will introduce students to the maple leaf, Canada goose, mountie and more. More than 40 activities, teacher information & suggestions and answer key. Companion product - Canada: A Picture Collection PC-28. 118 pages. 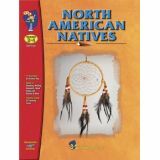 Study the Algonquins, Plains and Northern Forest Natives. buffalo and maple syrup; leather and bows and arrows. Here's an invitation to your students to enjoy the lifestyles and legends of Canada's Native peoples. Experience their language, food, homes, clothing, and religions. Explore their philosophy of life, and the impact of white settlers. Included are 10 information cards and activities on research, word study, reading, creative writing, drama, music, art, plus Legend listening cards! 73 activities. 106 pages. 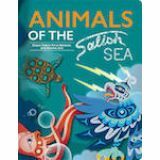 Explore the Salish Sea with this collaborative book featuring the work of 13 different Coast Salish artists with text by Musqueam, Coast Salish artist Melaney Gleeson-Lyall. Featuring the work of 13 contributing artists. Soy based ink and water based protective coating. Made from paper sourced from sustainable forests. 32 pages; measures 5.75" x 7.5". Start Early - Increase Cultural Awareness. Canada is a country of many diverse cultures that encompass various family traditions and celebrations. Background information for the teacher to share in lessons and discussions are included. 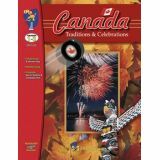 Reproducible booklet will broaden student's knowledge and cultural awareness of traditions and celebrations practiced in Canada. Over 28 different celebrations from Canada's melting pot are included. This book supports many of the fundamental concepts and learning outcomes from the curriculums for the province of Ontario, Grade 2, Heritage & Citizenship, Traditions & Celebrations. 64 pages.